Hyderabad: The police has deployed ACP-rank level officers as nodal officers to the 15 Assembly constituency in the city, four of which fall in the Rachakonda and Cyberabad commissionerates. 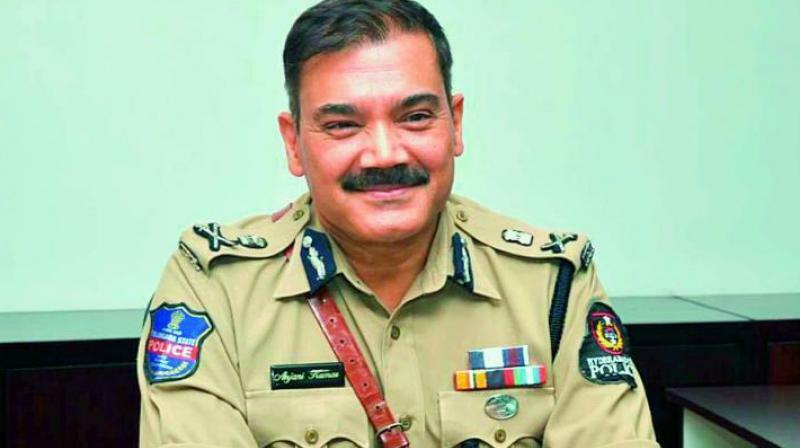 Hyderabad police commissioner Anjani Kumar said the nodal officers and police officers concerned has visited every polling station and analysed accessibility, condition of building, sensitivity of the areas and assessed the criticality of polling stations. A total of 3,911 polling stations in 1,574 polling locations, of which 161 were categorised as S1, 334 S2 and S3, Mr Kumar said. A total 426 police routes have been planned. Three static surveillance teams and three flying squads will work round the clock in each Assembly constituency to address violations and for expenditure monitoring. “We have formed 60 shadow teams in each constituency. On the day of election, a total of 518 check posts/pickets will be functioning. Communication systems have arranged for officials,” he said. Central armed police forces had been deployed in Hyderabad who had conducted 126 flag marches, 98 route marches, 416 vehicle checkings and confidence building sessions, along with cordon and search operations.